The above:- Take one 5 inch (12.5cm) square wooden base with Roman ogee molding and made from re-cycled wood. Apply coat of french polish. Drill holes. Attach a found piece of driftwood to recycled wooden base using drilled holes and appropriate length screws. This driftwood was beach combed off a Cornish beach on one of this summers Tik-ma-dog walks. 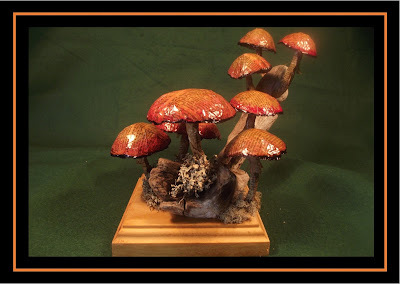 Create mushroom fungi from aluminium kitchen foil and using pages from an antique dictionary and water diluted PVA glue. The dictionary was falling apart and acquired from a charity shop, but I still felt a moral dilemma in tearing pages from a book...it so went against the grain. Tint outer edge of mushroom parasol with diluted acrylic red paint. Allow to dry and coat with shellac french polish. This polish gives the fungi a honey glow. Drill holes for fungi having sized-up fungi in appropriate positions on the driftwood. Apply glue and place fungi in drilled holes in driftwood. Add glued on lichen. This lichen scavenged from wind blown fallen branches on one of Tik-ma-dog countryside walks. 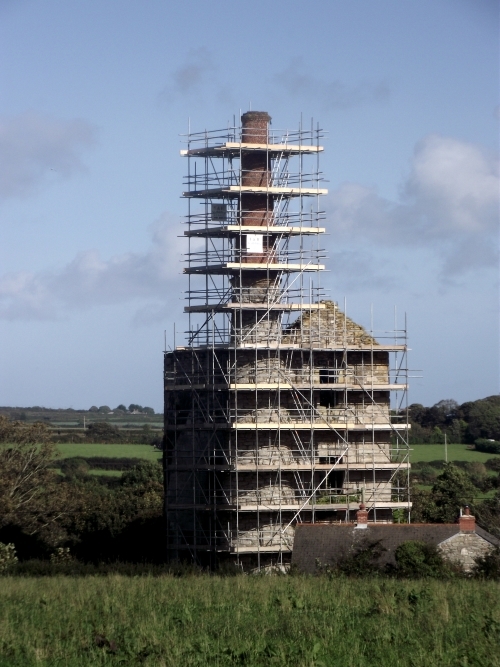 It may (or may not) have been whilst walking the NT Godolphin estate, between Helston and Penzance, Cornwall. Above picture taken on yesterday's late afternoon 'Tik'-ma-dog walk. All was well, the weather was good & we walked much further than initially intended. I felt quite good. That was then, today is Monday. 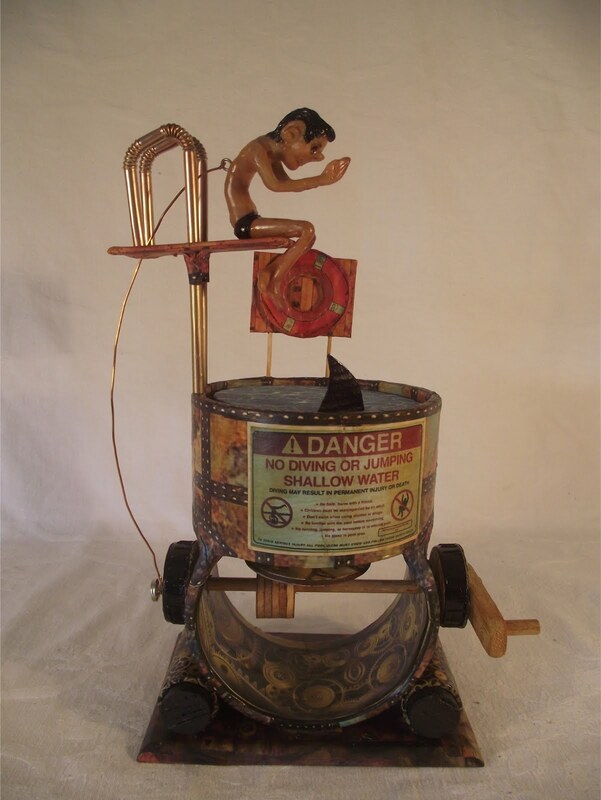 Feeling this art sculpture promoting is a really, really a slow burn. Frustrating, it feels like it is a damp fuse, taking a while to get going. Just not getting the followers or re-promotions I had expected or previously experienced with other blogs (now retired), but on different subject matter. Perhaps it's my art, too edgy or Dark. I don't do kitten art or those endless paintings of St. Micheals Mount, which seem to clutter, otherwise quite nice picture frames at David Lay's household auction sales. Perhaps I'm just grumpy today. The weather has definitely changed & my internet connection is frustratingly slow, lumpy & very erratic his morning. Feel a computer diagnostic coming on. So in keeping with my dark mood...an equally dark sculpture, created right here at Kuriology in Cornwall. 'Baphomet', may not be as dark & satanic as portrayed. Apparently the old goat faced fella has simply had some bad PR from the Christian right wing over the centuries. Seems he may have been linked to the good old Catholic Papal smear campaign against the Knights Templar order. Secret societies, eh, tut, who'd have them? However, anything man like in stature, with horns & wings, & cloven hooves is always of interest to me. 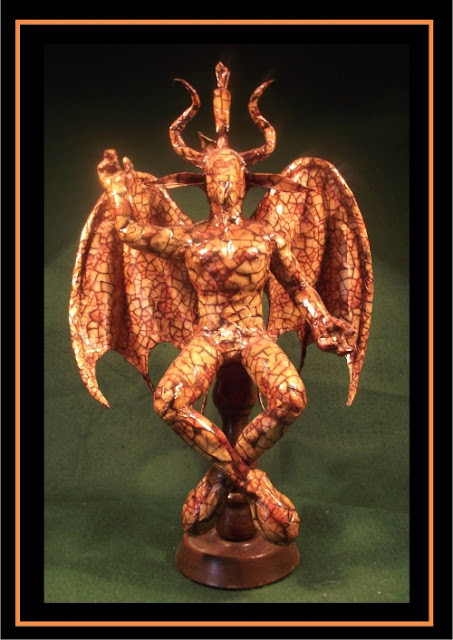 This Kuriology created sculpture of 'Baphomet' is of composite construction, mixed medium using re-purposed objects, cardboard, kitchen foil, paper mache, modeling clay & mounted on an antique wooden beech stand. Who has time to create sculpture? What with blogging, tweeting & dog walking? Who has time to create sculpture? What with blogging, tweeting & dog walking? Since I decided to start putting Kuriology sculptures on-line it has been a whirlwind of non-stop computer related tasks to carry out. Among which there has been a multitude of art portfolio accounts to be created (see listing in right hand blog column). Promoting sculpture takes a lot of work. Who knew? But when to find time to sculpt? Must find time to sculpt? ....and 'Tik'-ma-dog, has to be walked - properly! ...and then there are domestic home duty demands on my time! Thank goodness I don't do facebook as well! Phew! TIME MANAGEMENT URGENTLY REQUIRED!!!! Last night, at last 'found time to sculpt' whilst also watching television. 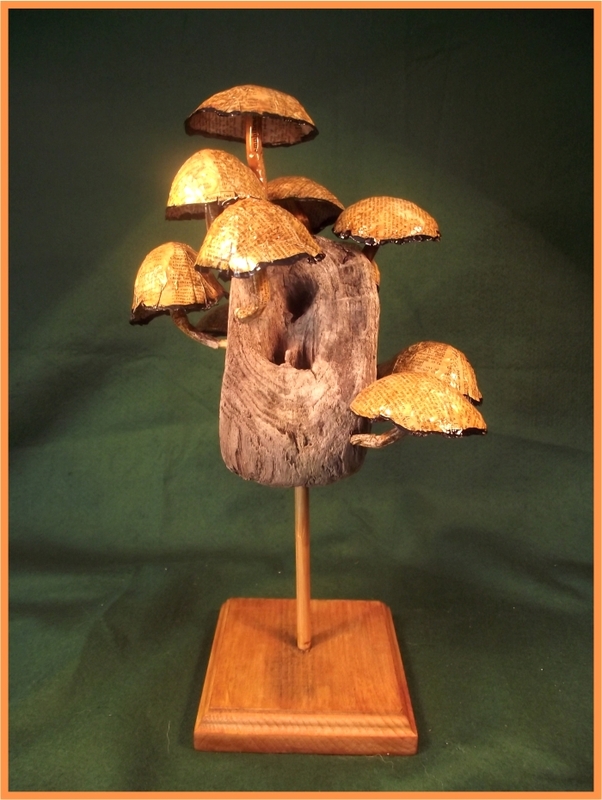 Created using re-cycled wood (base), Doweling, Cornish beach sourced driftwood, aluminium kitchen foil, & re-purposed charity shop dictionary book pages (the book, it was/is falling apart). Shellac finish, with ebonised french polish highlights. Ta-da! Not sure if this qualifies as mixed media, assemblage or re-purposed art sculpture. Perhaps all three. I do like fungi, there is something magical & mysterious in the way their fruiting bodies just appear suddenly. Sometimes in the most unusual of places. Right, I have thirty minutes before I have to feed & walk the dog, a cup of tea I think! A busy week of beaches, rubbish, & contemporary Eco-art. 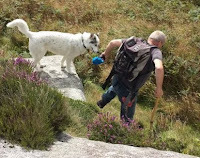 On Thursday, Robert my former Red Crossed referred befriender, & now good friend, took ‘Tik’ my dog & I down onto the Lizard,Cornwall. I had spent two minutes that morning studying Google aerial maps seeking a suitable Cornish beach for us to explore & likely to be isolated enough not to have one of those ‘annoying Cornish dog beach bans’. 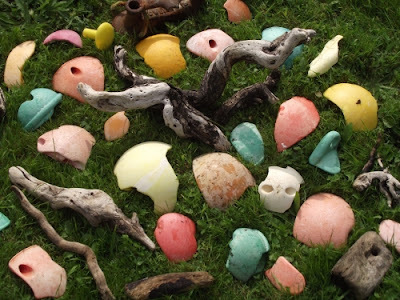 I wanted a quiet beach of potential flotsam & jetsam. We headed through St. Keverene, into the pretty village of Rosenithen, down what appeared to be a dead end. Directed by a most helpful local to an off road parking spot where we would not obstruct any laden tractors coming through. Tucked discretely, hidden almost out of sight, to the side of the dead end…a footpath, leading down to the sea. 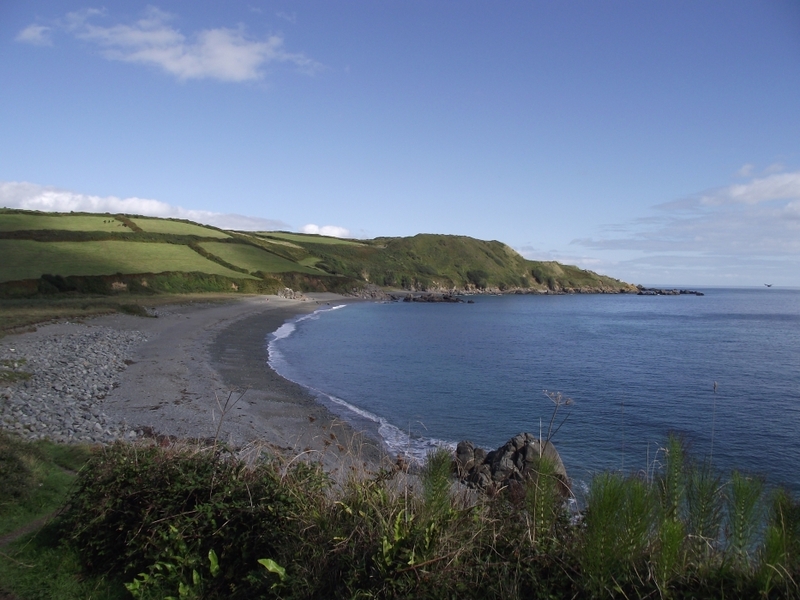 The beach we were heading for lies on the Lizard coast of Cornwall between Coverack & Porthoustock, in fact it lies between two rather large coastal former quarries. 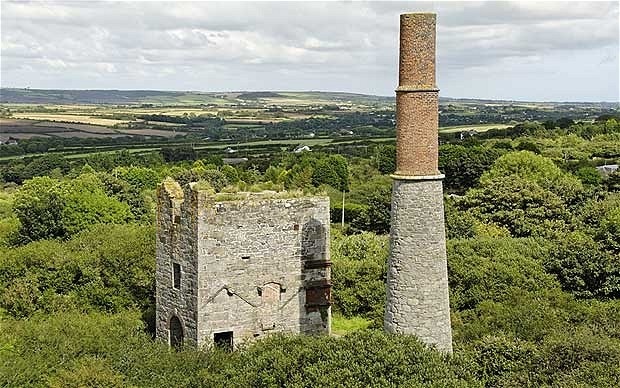 There is quite a bit of controversy surrounding potential re-opening of one of these quarries, Dean Quarry, & the impact it would have on protected marine environment just off the Cornish shore. A pleasant walk beside a small highly conversational stream, which chattered & gurgled to us all the way down to the beach. The beach all but deserted…or so we thought. A delightful & exceptionally clean beach. Where was all the pollutant rubbish which I expected cast up on the tidal zone of such an isolated beach? A conversation with a local resident of the village walking his ‘exceptionally’ seriously well trained dogs on the beach provided answer. The locals kept their own local beach pretty damn squeaky clean. Yes, they did, hats off, but it meant there was nothing to add to my sculptural bit’s resource box..and in a strange way, that's a good thing. I whipped out from my rucksack a sculpture I had brought from home - a turtle. 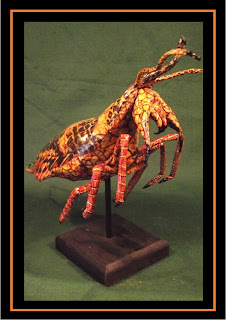 Made primarily from re-cycled old received ebay parcel packaging materials – one of my Kuriology faux taxidermy, paper mache – Turtles. I had wanted to photograph it in-situ on a beach. Now hawksbill turtles do on occasion stray into Cornish coastal waters, so my beach sculpture was not entirely beyond the realms of reason. A real big bull seal also put in an appearance just a few yards off shore, & just shortly after Tik my dog had decided since I’ve had her to take her 1st ever swim in the sea. 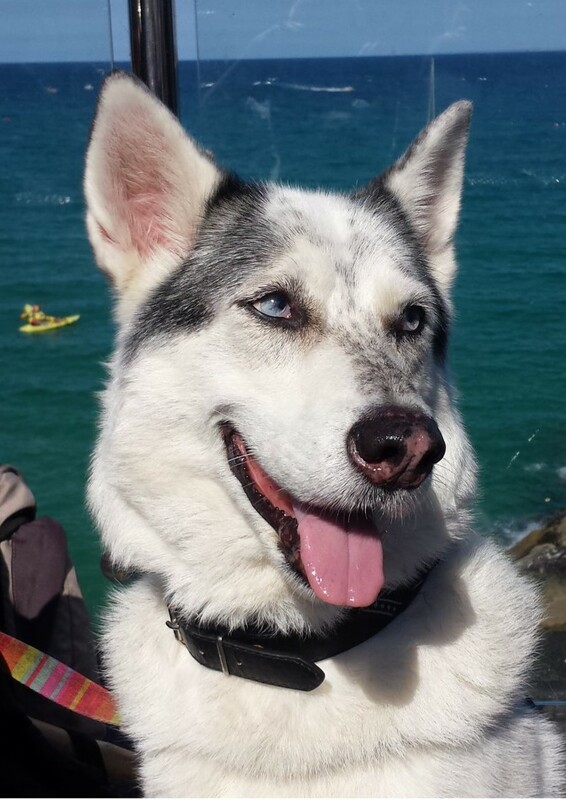 Perhaps the bull seal had come to check who was the blonde bathing beauty – Tik my dog. 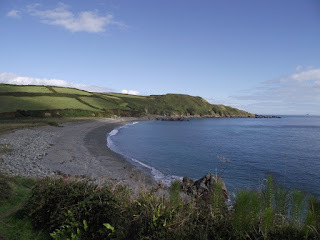 There was a steady stream of walkers coming to the beach following the coastal footpath. It was such a beautiful early autumn day with blazing sunshine, we just sat on the beach enjoying it. Return was via Roskilly’s (again) for good coffee. Now I do not think it is compulsory to have a dog to go to Roskilly’s Farm, but let’s put it this way, more tables did have a dog in their company, than did not. The following day a meeting lined up with Eco-artist - Georgina Maxwell. 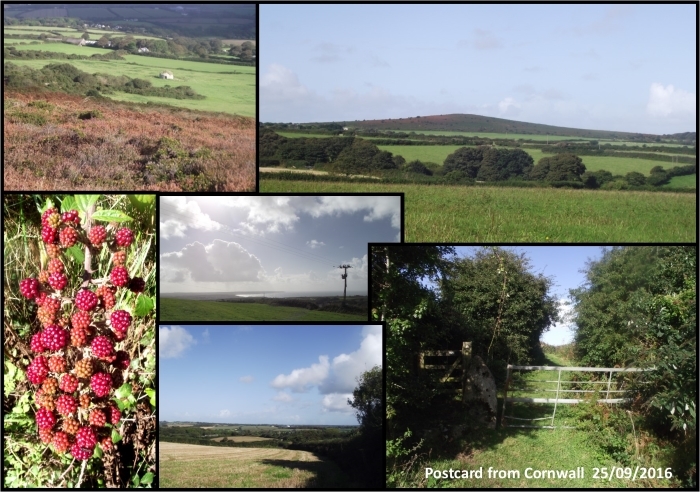 Walk in Cornish Countryside, taking in views at every gateway on route. I wasn't going to blog today. The intention was to take the day off from computer-y stuff. The idea was to take 'Tik'- my dog, on a good walk, which we did. and then a picture...., well you get the idea. Starting off at the village of Carleen in the parish of Breage I went in the direction of the hamlet of Trew by road. Turning right just before the hamlet & heading up the road past Trewolis Barton Farm. Just after Trewolis Barton turning left via a footpath & now heading in the general direction of the village of Breage. Crossing first a pasture field, over a style into a wheat stubble field. At the right corner top of which was a beautiful field filled with white & yellow button flowers. I thought these were Feverfew, but now I suspect it was Corn Chamomile. Getting back on the road we turned left & immediate right leading us up towards Trevena Farm. Passing the farm & then passing Trevena Barton. Looking to my right I could see the tower of the parish church at Breage. Away to the right I could just make out the sea & the cliffs down beyond Porthleven towards Loe Bar & Gunwalloe. Passing the deserted farm buildings to my right entering Trevena Cross. Popping into the Garden Centre where they serve good coffee (& a dog biscuit for Tik). Horror upon Horrors, the garden centre cafe has banned smoking outside!!! I did ask the cafe duty staff if the person responsible for the ban could be executed by firing squad. Is it unreasonable that executing the owners seems beyond their customer satisfaction procedures? After coffee, leaving the Garden centre cafe.... & immediately lighting up. The large fibre glass Komodo Dragon figure in the garden centre had the right idea - sticking out it's tongue to the outside 'ciggy fag ban'. Turning left we followed the road? bridle way? up towards Trevena Count house. Passing through the gate at the top & immediately turning right down a narrow footpath. It is more or less down hill from here on. Emerging from the footpath & turning immediate left to follow another footpath which hugs the lower shoulder of Tregonning hill heading in direction of the abandoned Telmennor quarries. The footpath takes a right turn at a style which has a forbidding notice about dangerous cows in the field beyond. We are not going that way, but down the hill footpath to rejoin the road at Little Telmennor. A gentle saunter down the road passing Trewolis Barton farm again, back to Trew, but turning right towards the hamlet of Trew. Past the sculptures on the left in the garden of what was, & may well still be Trelawney House. Taking the next left lane which leads down into the valley, the stream of which flows all the way down to Porthleven. Now one of the maps I looked at shows this as a lane joining both sides of the valley, It does not. At least not for road vehicles (or even off road vehicles - too narrow between the bridle path fences). Rising up the other side of the valley joining a lane & then taking a left hand turn up a footpath which comes out...more or less where we began two and a half hours earlier. Tomorrow I must do some creative sculpting type stuff. 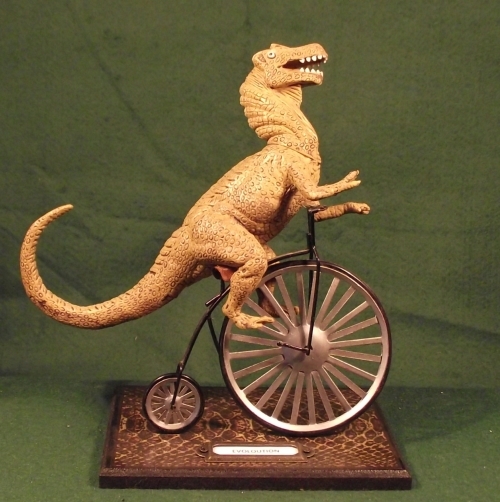 Its taken a while to get Kuriology Art Sculptures onto Pinterest. I admit not to fully understanding Pinterest. In the past I've used it as a 'scrapbook' depository for images of other peoples work which I like or which have a feature idea upon which I may use. In a way that is how I shall continue to use it. I also believe having Pinterest linked with my other various websites & profiles is 'in theory' supposed to help with website 'google' ratings. As to how one encourages other people to add your own posted pins to their collections - completely escapes me. Ahoy me hearties, My Twitter account @strangecurios reminded me twas 'talk like a pirate day'. 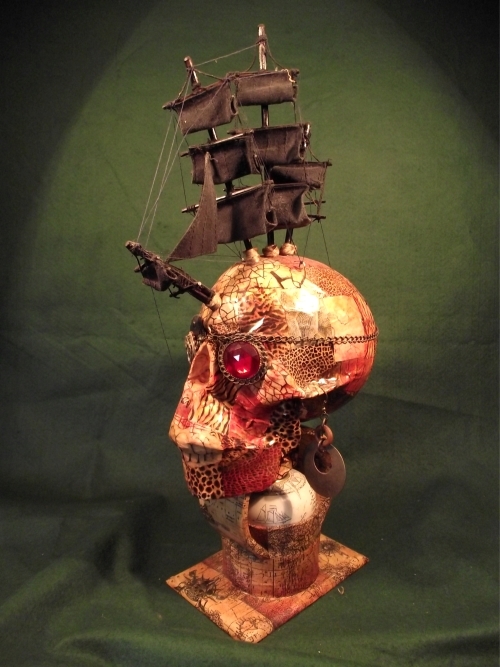 So avast ye swabs, tis all hands on deck to find some Pirate Sculpture Booty in the old Kuriology seadog treasure chest. 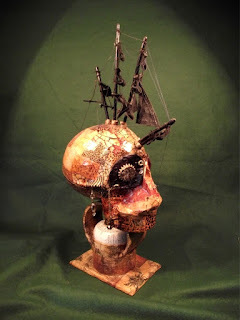 I dug around in our storage & found an assemblage Cornish Pirate sculpture created last year which is used to house a working faux scrimshaw compass. Recently I was fortunate to catch at Falmouth Art Gallery an exhibition of about Captain Pugwash. Much beloved children's book & cartoon character created by John Ryan. I now learned some of the dubious names circulated in my childhood about characters from the Pugwash story were fictitious. Apparently Captain Pugwash character names such as 'Roger the cabin boy', 'Master Bates' & 'Seaman Stains' were as result of overactive boys playground stories. In 2015 I joined (with a friend) in the sadly failed attempt in Penzance, Cornwall at the world record to assemble the largest number of people dressed as pirates. It was a spectacular day with thousands upon thousands of people dressed as pirates. Allegedly it was just x77 pirates short of the world record. The record held by the 'scurvey dogs' in Hastings. I mean 'Hasting', really? 'Shiver me timbers' that most enjoyable Penzance Pirate day may have inspired my kuriology compass sculpture. Every day ‘Tik’ my dog has to be walked. The area where I live is criss-crossed by a spiders’ web of old mining rights of way & public footpaths. 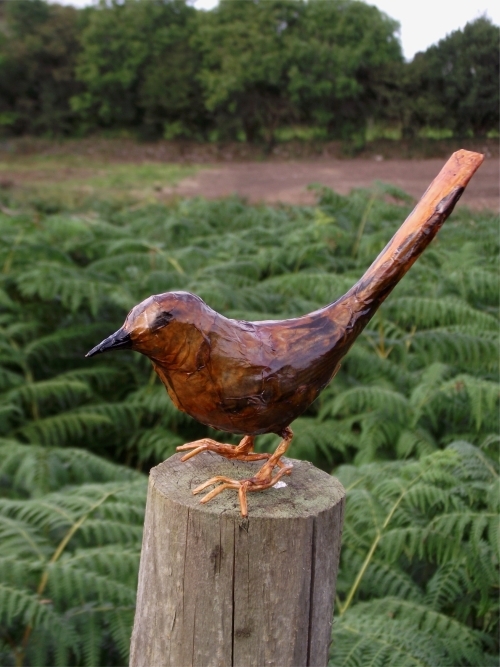 It occurred to me I was missing an opportunity to combine both the Cornish countryside & my sculptures. A veritable outdoor gallery, using the landscape as back drop. The idea being each day when I walk ‘Tik’ the dog (& when the weather is suitable) to take one or two sculptures out & photograph them on various gateposts or suitable locations. Please watch above youtube video. Credit where credit is due. Without my Disability Assistance Dog I would otherwise seldom leave my home. I obtained 'Tik' from a Cornish animal welfare charity in early 2016. Specifically for her to become my assistance dog. From 2006 up until I obtained 'Tik' in 2016 I had been virtually housebound. In 2004 I had become the target of a prolonged & orchestrated hate campaign & to a degree it is still on going, as are the negative effects. In 2011 I was clinically & forensically assessed as having PTSD (Post traumatic stress disorder), along with severe anxiety, painful panic attacks & a form of people related agoraphobia. The clinical forensic medical reports later submitted as evidence to a court tribunal. The finding of the court tribunal resulted in my being placed in the DWP ESA severe disability support group. Now there can be few disabled people who do not know or who have not felt the negative effects of the current UK government waging war of retribution, victimization & spite against disabled persons, after all the 'Nasty Party' is in government. So my being placed in the ESA severe disability support group actually meant 'no' support at all. Dumped & forgotten, 'out of sight out of mind', behind closed doors of my home from which I could seldom leave. Now I cannot speak LOWLY enough of the authorities in Cornwall. Inept, unprofessional, incompetent, prejudicial & discriminatory are just 'some ' of terms which spring to mind. If something constructive was going to happen I would have to do it myself. 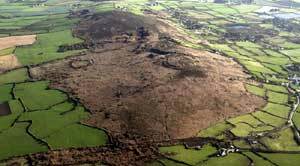 I contacted the Red Cross, they in term put me in touch with Penwith volunteers & as it happened a new volunteer had just moved to Cornwall & was looking to assist a person with some of my specific characteristics & qualities. After 12 months of going out with the volunteer once a week, I conclude if I could go out with the volunteer, I could probably go out with a dog. In the first month of my having 'Tik' in 2016 I had left my home on my own (with the dog) more times than I had in total since 2006. We now walk miles every week. 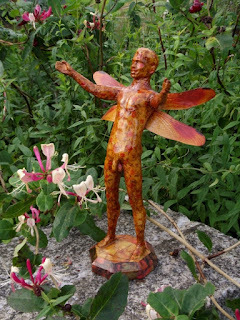 Since getting 'Tik' I am gaining some confidence again, I am beginning to focus upon getting my Art sculptures out there. Which I why I've started the blog. Because I had spent much of my time when not banging my head against brick wall of belligerent Cornish Authorities, teaching myself various skills & sculpting over the decade of my home confinement. 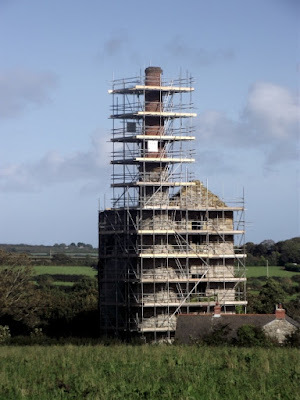 What of the Penwith volunteer befriender? Well he is now a highly valued friend & no longer a volunteer, & we still go out once a week, just now it is with 'Tik' the dog as well. Even I have to take a day out from my normal schedule of sculpting or fiddling on internet. That for me is when my friend (who started out as my disability befriender) usually comes around once a week. Even my disability assistance dog ‘Tik’ knows the presence of my friend usually means an extra dog walk. Much wagging of tail. Last week it was a ‘bimble’ (Navy Jack speak) from Carleen former Methodist Church, up towards Tregonning hill, along footpath via a ripening maize corn field, past Tregonning Farm, up & around the shoulder of Tregonning hill, down ‘Polly Granny Lane’ (Isn’t that just the best name for a road?). 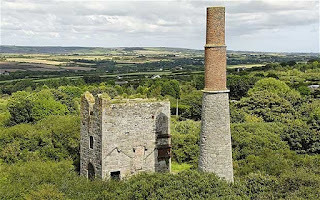 Then up Bal Lane to the ‘Great Works’, an abandoned tin mine & one remaining engine house, then down around the shoulder of Godolphin Hill, on down to the National Trust Godolphin house. A well-earned cafeteria of coffee at Godolphin House NT cafe, then back through Godolphin village, down an (un-sign posted) public footpath to yet another former tin mine engine house. Another unmarked footpath back up through Polladras to village of Carleen. Well that was last week. This week we went to Coverak, Cornwall, UK. 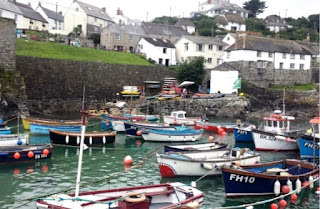 (i) Because the sensible people of Coverack do NOT have exorbitant Cornwall Council car-park charges, instead there are several small Parish council car-parks with (strong box) honesty boxes for parking payment, which goes to local charities. (iii) This Cornish fishing village is just ‘so’ damn pretty! So that’s what I did today, taking a day off from my sculpting. Well almost, as I did get more sculpting materials in form of driftwood & broken fishing buoys. Best way to evolve a Dinosaur? 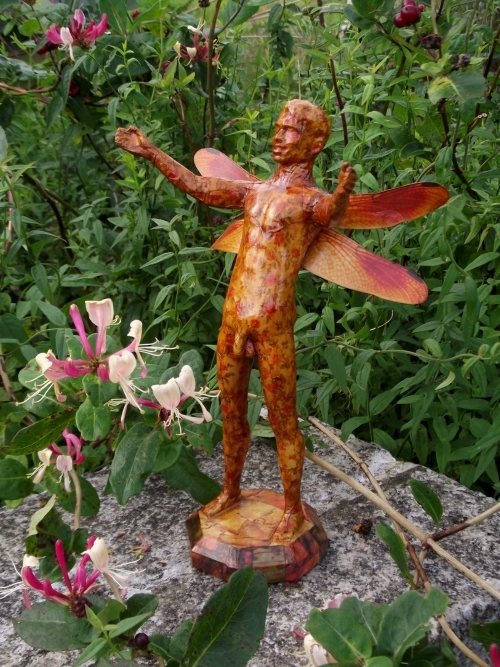 (…or set up an online Art Sculpture business). Ok, we all know dinosaurs are extinct, at least the big ones are! So to evolve one would be a monumental task best tackled one small task at a time. 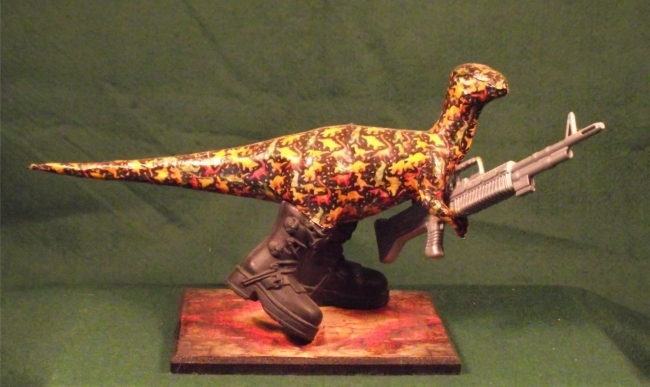 I’m a internet dinosaur & I need to evolve. That’s ‘how’ I’m approaching the seemingly monumental task of getting my ‘Kuriology’ sculptural art work & the journey of making them & getting them in front of those who would buy, enjoy and appreciate them. So here goes…..One small task at a time. 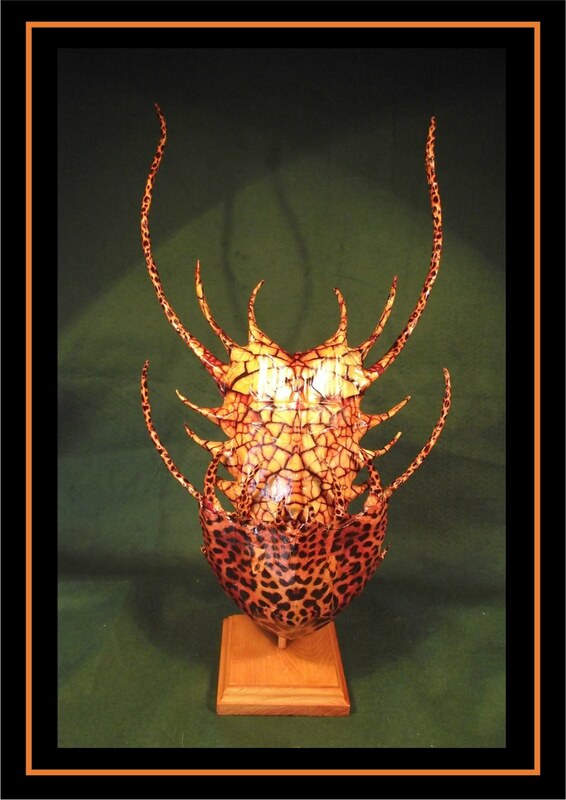 This KURIOLOGY Art Sculpture blog is intended to help inform & document the journey of Kuriology Sculpture. 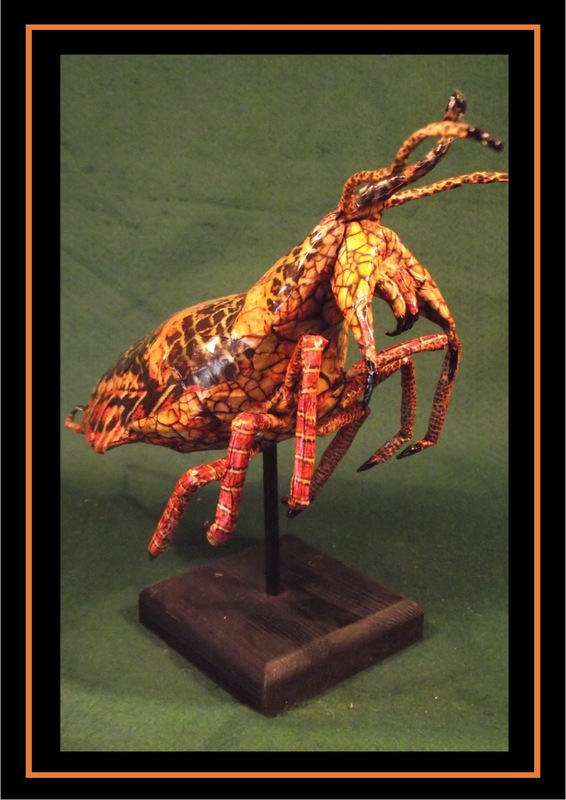 I hope you enjoy….& may even consider obtaining one of my sculptures. 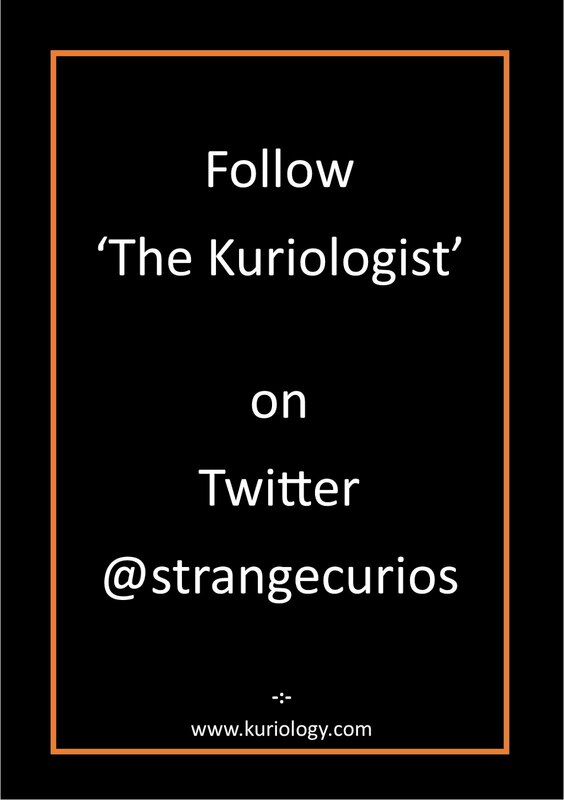 The .com website will eventually be the ‘hub’ of my Kuriology internet presence, with all the other sites linking back, like the spokes on a wagon wheel. (2) Next was to create a number of artist/sculptor portfolio sites…. Here are links to some FREE to use art portfolio sites featuring my Kuriology profile. I’m still in the process of posting on more portfolio sites, but this is a start & took me several days. I’m no techie & some sites (not listed above) had to be abandoned. They simply did not work for me. (3) I updated an old twitter account I had languishing doing nothing. It is far more vibrant now it has purpose. Now a few years ago I had quite a successful blog (now retired), but blogspot has changed, as has the internet & I DO NOT GET (said I was a dinosaur) how it links into Google+ at all. Hey ho. So that’s where how far we have progressed so far. …and still to set up a youtube account.